Call Boat Owner Joey 904-287-0077 904-759-7431. 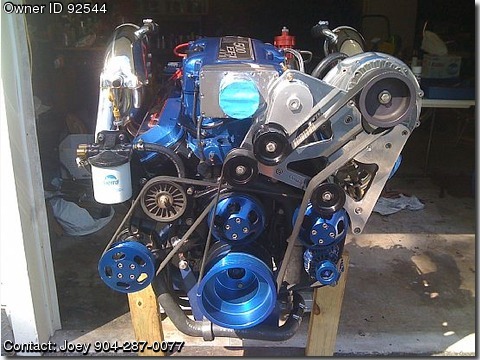 Description:Mercury Racing motor for sale. Completely rebuilt 2011, and never used. Mercruiser 500EFI horsepower is 700+, has CMI headers, fly wheel, EM3 Pro Charger, and engine mounts.